Are the authorities afraid of Julius Malema? Most pollsters agree that there are thousands of votes still up for grabs, something the "other five" will try to capitalise on as we enter the last three weeks of campaigns, writes Adriaan Basson. How will the "other five" parties perform in the May 8 national election? The IFP, UDM, FF+, Cope and ACDP have been part of the South African political landscape for at least a decade and have established themselves as valuable contributors to the national debate. With the ANC at war with itself, the DA facing an identity crisis and the EFF fighting new corruption fires every week, these parties may attract voters who feel that none of the top three parties deserve their vote. But the "other five" are also facing a threat from the new kids on the block like the ATM, the ZACP (Purple Cows), Patricia de Lille's GOOD and Irvin Jim's Socialist Revolutionary Workers Party. There are many more options on this year's ballot paper and voters may drop the "oldies" in favour of new blood in Parliament. A common point of discussion I am picking up across racial and ideological lines goes something like this: "I want to vote for Cyril, but I cannot vote for the ANC. The DA is just too confusing and the EFF uses cheap populism to hide their own corruption." Most pollsters agree that there are thousands of votes still up for grabs, something the "other five" will try to capitalise on as we enter the last three weeks of campaigns. The oldest of the "other five", the IFP faces an uncertain future as its president-for-life, Mangosuthu Buthelezi, exits politics after the election. 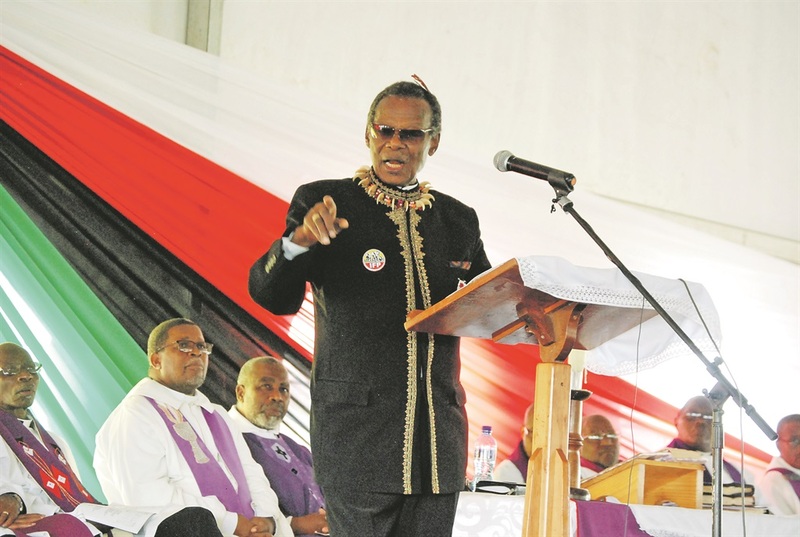 The party is trying to capitalise for a final time on Buthelezi's popular support, particularly in northern KwaZulu-Natal, but it may have been a strategic blunder not to deploy a new, younger leader for the election. The IFP has always had a number of effective Members of Parliament who contributed constructively to the law-making process, but the last term of Parliament specifically saw the rise of two very bright, young politicians in Mkhuleko Hlengwa and Liezl van der Merwe, who were leading voices in the fight against Jacob Zuma's corruption. The party shed votes to former IFP leader Zanele kaMagwaza-Msibi's National Freedom Party (NFP) in the 2014 national election, but the subsequent implosion of the NFP will almost certainly see the IFP regaining some of those votes – a trend that already started to emerge in the 2016 local government elections. General Bantu Holomisa has been a leading light in the opposition's efforts to unite in exposing state capture under Zuma. His efforts to expose wrongdoing at the Public Investment Corporation in particular should see him gain support at the polls, although questions remain about the UDM's role in unseating the DA-led opposition coalition that governed Nelson Mandela Bay Municipality after the 2016 local elections. Unlike Holomisa, the UDM's Mongameli Bobani, who now serves as mayor of Port Elizabeth with the support of the ANC, is not particularly known for fighting corruption and has several question marks hanging over his integrity. This includes appointing Andile Lungisa, the thuggish ANC councillor who was convicted for assault, to his mayoral committee. Holomisa's valiant efforts to build the UDM into a good governance champion over the years may be significantly undermined at the polls by his refusal to act against Bobani. Under Pieter Groenewald, the FF+ has been reenergised and actively takes part in the national discussion in Parliament, particularly where it concerns land and agriculture. The party believes it can take votes from the DA from Afrikaners who are confused about the official opposition party's position on issues like Employment Equity, language and land, but the FF+ didn't do itself any favours by using the slogan "slaan terug (hit back) SA" in this campaign. Who are they planning to hit? It smacks of anti-black racism and will alienate moderate Afrikaners who would prefer public representatives that participate to find solutions rather than fight. Veteran ANC leader Mosiuoa Lekota has made a concerted effort to champion the Constitution with a specific focus on land reform during his campaign. Even appearing with AfriForum, Lekota is also hoping to capitalise on Afrikaners who no longer trust the DA to champion their interests in Parliament. In a country where 80% of citizens identify as Christian, the ACDP is again trying to focus on issues that specifically speak to this religious group. They will face tough opposition from the ATM, that has support from specific church groups. MP Steve Swart has consistently been one of the most effective public representatives in Parliament. - Basson is editor-in-chief of News24.